Around the world, an innovation revolution for children is growing – often in the most unexpected places – and increasingly led by young people themselves. Fueled by creativity, connectivity, and collaboration, new ways of solving problems are emerging – in tech design studios and university laboratories, in development organizations and corporations, and in kitchens and community centres. To mark the 25th anniversary of the Convention of the Rights of the Child, this edition of The State of the World’s Children highlights the work of remarkable young innovators who are already reimagining the future – and invites the world to join this rising movement to advance the rights of every child. How are innovators creating a better world? By pushing boundaries, challenging assumptions and sharing their creative solutions. Use the categories below to explore their work, in their own words. Innovators around the world are closing gaps and crafting solutions tailored to local needs. Young people are finding new ways to participate and claim their rights. Reorienting innovation towards greater equality and the needs of the poorest takes deliberate effort. What are the nuts and bolts of delivering innovation to the world’s poorest children? Young people need support and quality education to foster their potential as innovators. Inclusive and sustainable solutions, by and for local people, are emerging. Will rapid change accentuate or diminish the extremes that separate children who want for almost nothing and those who are deprived of almost everything? In an increasingly connected world, problems cross borders – and solutions must do the same, linking global and local problem solvers to push the boundaries of the possible, try out unconventional approaches in new places, and accelerate progress towards a future in which all children can enjoy their rights. As the global development community plots its course for the post-2015 era beyond the Millennium Development Goals, the choice is ours to make. Tell the world about something innovative that you are working on, or that someone you know of is doing. Help discover the next big idea that could change the world for children. As we mark 25 years of the Convention on the Rights of the Child, The State of the World’s Children calls for brave and fresh thinking to address age-old problems that still affect the most disadvantaged children. In particular, the report calls for innovation – and for the best and brightest solutions coming from communities to be taken to scale to benefit every child. The Convention itself was an innovation that recognized children as people with rights that must be respected equally to the rights of adults. It has helped drive remarkable progress for millions of children, but far too many are still being left behind. The report highlights how new ways of solving problems – often emerging from local communities and young people themselves – can help us overcome age-old inequities that prevent millions of children from surviving, thriving and making the most of their potential. To finish unfinished business, we need to innovate. This means creating interconnected systems and new networks of problem-solvers that cross sectors, generations and geographies. It means scaling up local solutions to solve global challenges – and adapting them in new contexts. It means shaping new markets and spurring the private sector to design for development. It means creating solutions together with communities, and with a view to including all their members – preventing innovation from widening gaps. It means doing things differently, to drive change for children. In that spirit, this year’s State of the World’s Children is different. It is inspired by the remarkable work unfolding in countries and communities around the world. It is guided by the principles for inclusive innovation that UNICEF is helping to develop. And much of its content is crowdsourced – emerging out of the experiences and insights of people who are actively working to make the world better for every child. Over the past year, UNICEF has convened a continuing series of Activate Talks, global symposia that are bringing together young inventors, innovators, business people, artists and others to talk about the innovation they see, need and are helping to drive. Many of their stories are included in the essays and ideas presented here. In fact, this year’s report includes the greatest number of essays – by the greatest number of young people – since UNICEF published the first State of the World’s Children in 1980. This is also the first fully digital State of the World’s Children, with interactive and multimedia content. Users are invited to personalize their experience by browsing through categories or by tailoring the content with a series of tags, allowing them to engage with the ideas that mean the most to them. 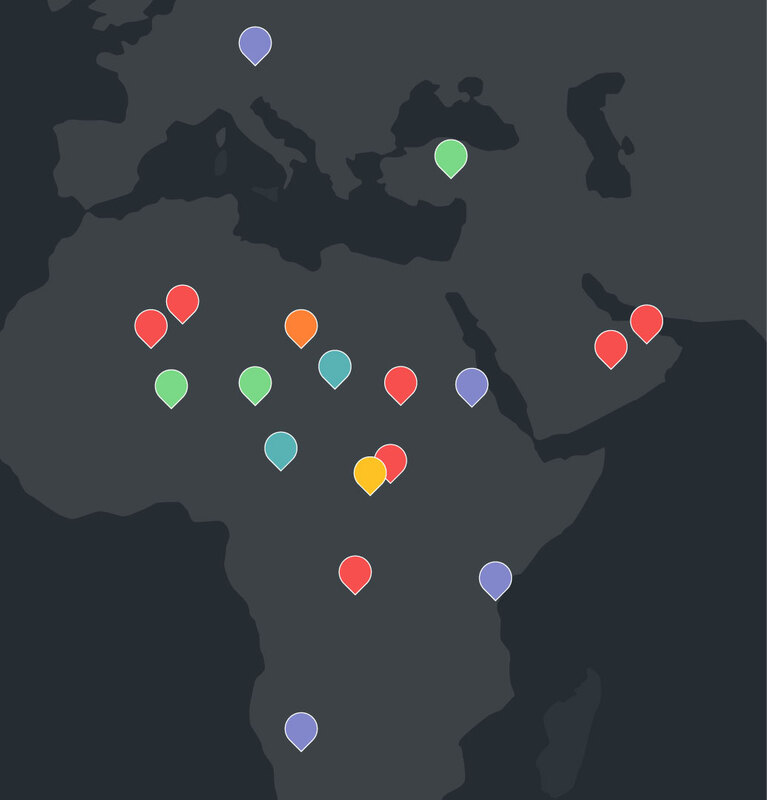 The digital platform also connects them to an innovation community and a constellation of open-source ideas through an interactive world map. We invite you to join this conversation, share your own ideas and experience, and create connections that might just bring about exponential change for the most disadvantaged children. Who knows what ideas you might inspire, what actions you might inform, what collaborators you might find, what change you might make. Don’t think of this as UNICEF’s report. Think of it as yours.